Like many folks who live in Metro Detroit, I tend to head Up North for recreation, but this past Father's Day, I headed south on I-75 for a change, and drove about 45 minutes to Sterling State Park near Monroe on Lake Erie. 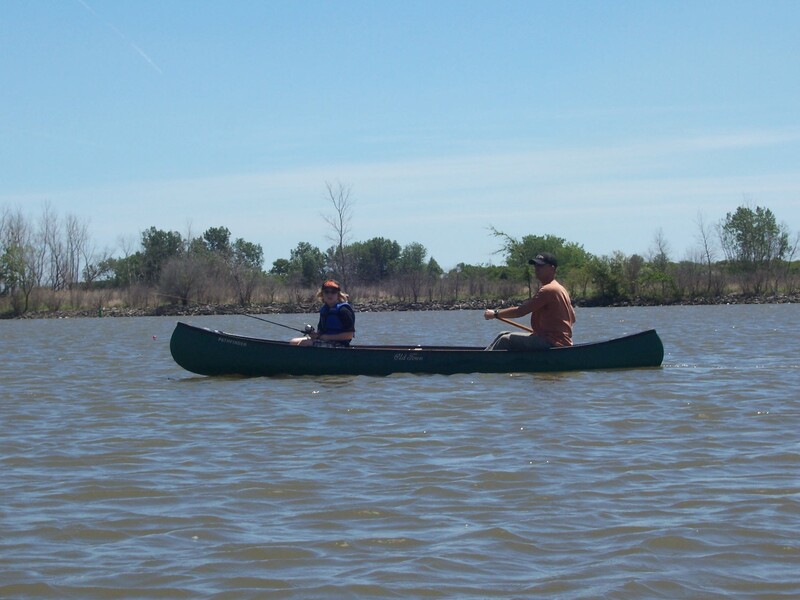 Although it wasn't planed as a Father's Day event, it turned out that way because our paddle on Brest Bay brought back vivid memories of fishing for perch with my father and grandfather in the 1950s. In those days, especially during October, we would catch boat loads of them, and I remember endlessly scaling them at my grandparents' cottage. There would then be large family dinners. I've priced perch at markets, and figure I probably scaled at least a million dollars worth when I was a kid. Because much of the Lake Erie shoreline in Michigan is in private hands, we tend to forget about it as a paddling destination, but both Sterling State Park and Lake Erie Metropark near Gibraltar provide access. My day on the lake brought back memories of my first lessons about the environment. As far back as the 1940s, my grandfather, a dedicated fisherman, had started voicing concern about the effects of pollution from a Monroe paper plant on the lake and fish. This was long before Lake Erie was considered "dead." People knew things like that in the old days, even though they didn't have the expertise in the environment that we now have. Lake Erie is a poster child for good environmental practices. Fish are now thriving and people can swim and enjoy the beaches. 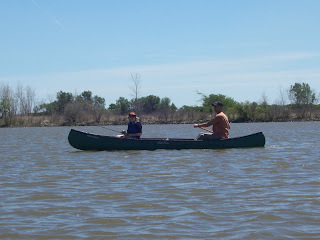 Our Father's Day paddle took us through some lovely fresh water marshes in the state park and onto the big lake. Paddlers could spent a few hours or the entire day on and around the bay. If the winds are too high, stick to the marshes and near the shoreline. Check out the paddling map in this blog for the route.